i rock paper and scissors: a haPpy card and a tag! a haPpy card and a tag! Hi friends! I have 2 things to share that are up on the Paper Bakery blog today. First up this fun card. Don't you just love the "P" flair button! It's from the I Love Social Media set, and may or may not look like a Pinterest P ;) I thought it looked so cute to replace part of one of the Dear Lizzy diecut words with a flair button. I also made this tag set. This could be added to a gift or as an embellishment on a scrapbook layout. I used another one of the Dear Lizzy diecuts, and also snuck in a little piece of one of the exclusive Paper Bakery printables. Love that little camera! 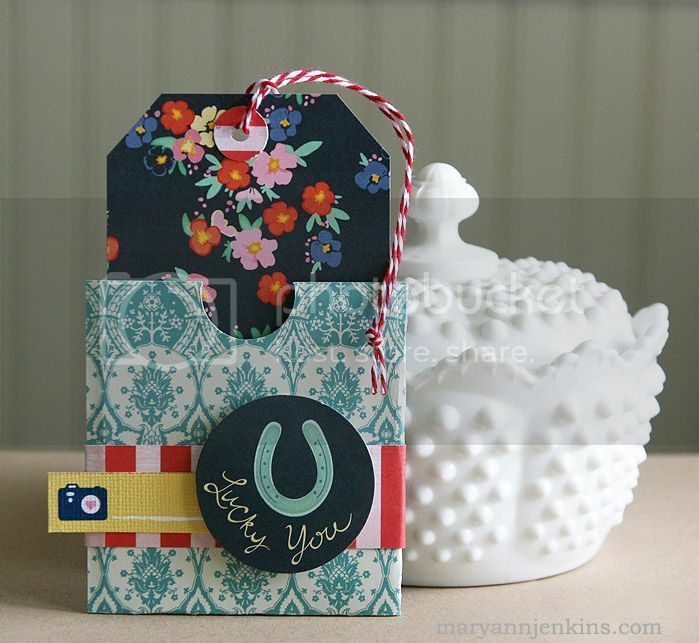 Great pieces, Mary Ann - that card is fantastic - I LOVE the flair!! So pretty!!! Love how you used the flair!! !